The Republic of Korea is one of the top leaders in the design and construction of innovative technological products (both industrial and domestic). For this reason, it is not a novelty to find, by companies operating in the recycling sector, the growing need to process in the best way the electrical and electronic waste from WEEE. 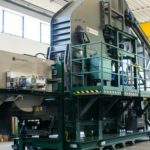 These companies have identified Panizzolo as an excellent partner in the supply of simple and effective recycling solutions, compact and dynamic, flexible and tireless, capable of enhancing the copper and metals contained in WEEE waste. With the previous Flex 1000 Mobile Drum (installed at the beginning of 2018 in a large metal scrap collection company), they were able to examine the transportable hammermill in action and verify its efficiency, productivity, output quality and low energy costs necessary. With the interchangeable cradles (Panizzolo patented system), the hammermills (both stationary and mobile), performing excellent WEEE pre-grinding and refining processing. The Panizzolo hammermills range reaches the complete metals cleaning, transforming the waste into raw material ready to be sold to foundries. These solutions also drastically reduce operating costs, wear and simplify maintenance. In addition, that technologies have been patented by the company thanks to 30 years direct experiences in this sector. In April, a stationary Flex 800 has been sent in South Korea. 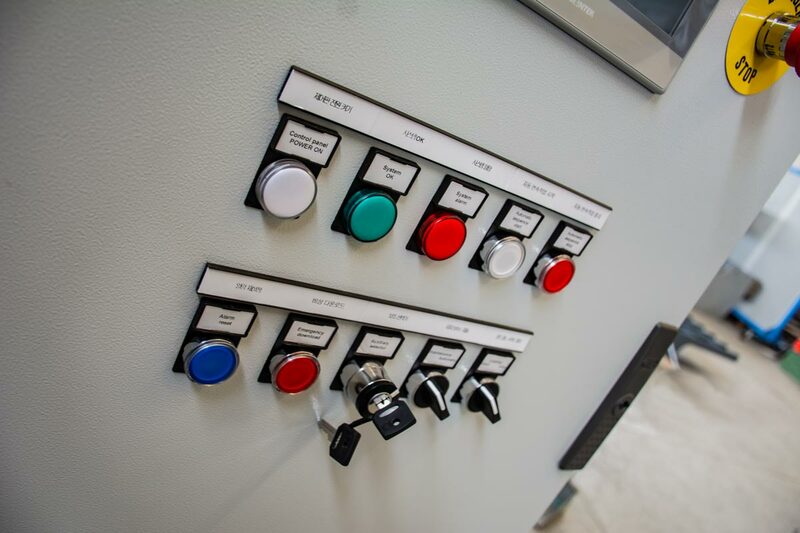 Through a 160 kW electric motor the hammermill allow a production up to 8 tons/hour. 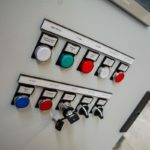 The recycling solution has been sold to a large South Korean company that collects waste from WEEE. Flex 800 will allow the company to perform an excellent material grinding in order to prepare it for the magnetic separation (through the Panizzolo module, installed after the Flex 800 output). The Stationary Flex 800 has been specially packaged for the long sea voyage before arriving from the Korean company. The Panizzolo philosophy is always to perform the best and quick installation and commissioning. For this reason, its extremely careful attention is extended to the components boarding preparation for the container ship. The packing steps are performed by a specialized and certified company. Panizzolo technicians work side by side with that company, so the transport safety and the machine integrity is put in the first place. The disassembled components are distributed in different blocks, fixed inside specific wooden structures and finally inserted and locked inside the containers. Before leaving for the port, the technicians register the identification number of the container and its contents, while an operator lock the access doors. During the month of travel, another problem to avoid is the sea salt aggressiveness and atmospheric agents (heat, humidity, rain infiltration, etc). For this reason the components are enclosed and sealed inside special bags, designed specifically for the complete isolation. Panizzolo recycling solutions presence will be continuously increasing in the Republic of Korea during the 2018. 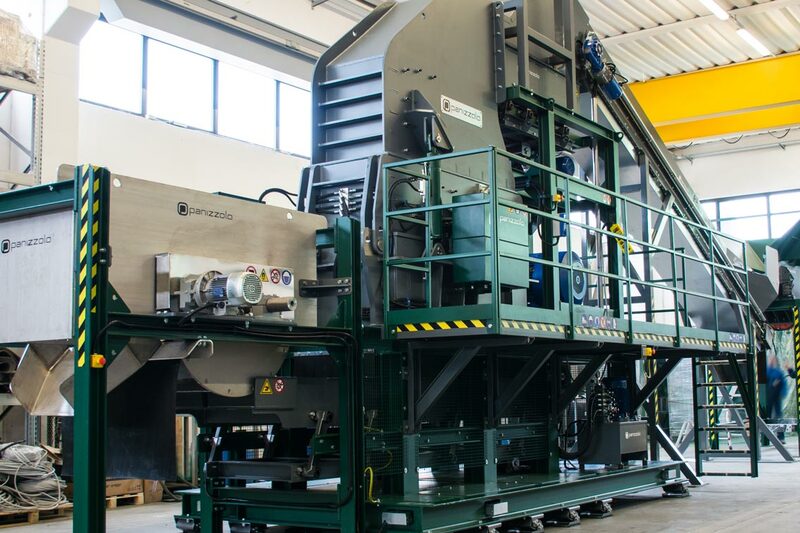 Local companies show a continuous and growing interest in the quality of the Paduan company’s plants, designed thanks to the direct experience in the metal waste treatment sector.